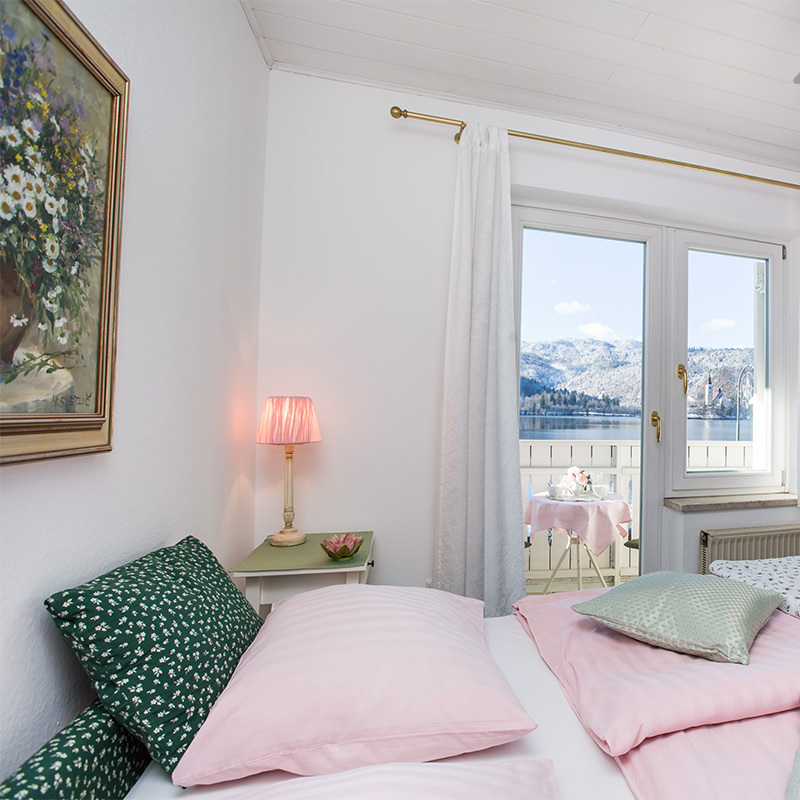 If you would like to leave your world of worries behind and would like to wake up to the great views of the picture-perfect Lake Bled island our guest house is the right choice. Lake View B&B Pletna is one of only a few family-run guest houses ideally located directly across from the lake where its guests can have a swim infront of the house or they can hire a wooden rowing boat at a special offer to visit the island. It is set in a small picturesque lakeside village of Mlino where the shore seems only a stone’s throw to the little island in the middle of the lake and where the main pletna boats’ wharf is located. The busier town centre is just a leisurely 15-minute stroll away from the guesthouse. 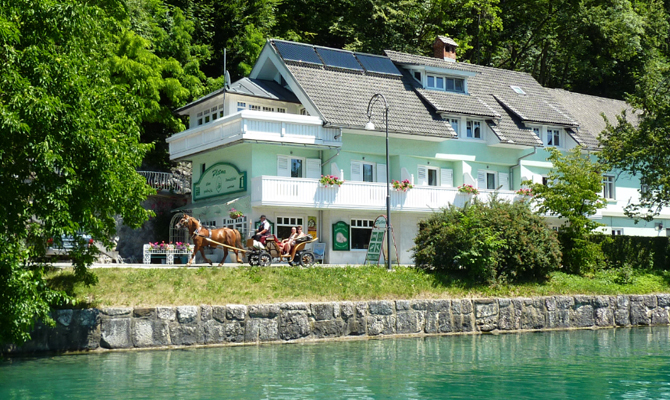 However perfect in location, we have to honestly inform our potential guests, especially light sleepers, that our location is not a very quiet one, especially during the day, due to the fact that the B&B is also situated right off the main road to Bohinj lake. For the majority of our guests the view makes it up for it. Furthermore, there are also a Tourist Information Point and an Ethnogallery of local arts and crafts on the premises. Closeby are two restaurants as well as a grocery store.